Home - Dnister Ukrainian Credit Co-operative. Secure, contactless technology that helps you spend less time at the register and gives you the freedom to do the things that matter most to you. Here’s an extra level of protection when you use your Dnister Visa debit card to shop online at participating merchants. Verified by Visa is a free service that lets you use a personal password when you make a purchase online, to protect your card against unauthorised use. We offer a choice of designs for our members to choose! When applying simply select your preferred card. The cards symbolise prominent colors and symbols aligning the co-operative with its foundation and niche market and bond. The blue and yellow card features the Ukrainian national symbol – “Tryzub” and the red and white card features the Latvian “Saulīte” – a symbol of eternal movement and life, bestowing warmth and light. This contains your personal information. The chip technology makes it extremely difficult to counterfeit or copy – so it helps to protect you against fraud. This 16-digit number is unique to your card, and is different from your account number. You’ll need your card number when you shop online. This is the month/year your debit card was issued. 09/15 means that the card was issued in September 2015. The date always appears right below your card number. Your name appears here. It matches the name on your Dnister membership. Your Dnister member number appears here. This is the month/year your debit card expires. 10/19 means it expires at the end of October 2019. Your Visa Debit card will not work after that date. A new card will be automatically issued before this date, so remember to let Dnister know if your address changes. You can use your card to pay in participating stores, online, overseas or by phone – wherever the VISA symbol is shown or mentioned. Wherever you see this symbol, you can tap your card on the Visa payWave reader to pay. If you spend less than $100 you won’t need to enter your PIN*. PIN stands for Personal Identification Number. Your PIN will be mailed to you when your apply for your new card. This helps ATMs and other swipe machines identify your card. Sign your debit card as soon as you receive it. It’s a very important step to help prevent fraud. This 3-dimensional appearance is an added feature on your Dnister Visa Debit card to protect the card from fraud. The last 3-digit number is unique to your card. You may need it for shopping online or over the phone. It helps to verify your card. The CVV is sometimes also called the card verification code (CVC) or card security code (CSC). Keep this Dnister phone number somewhere handy. If your card’s lost or stolen, call us immediately. Every time you press CHQ or SAV at the checkout, you are using eftpos. 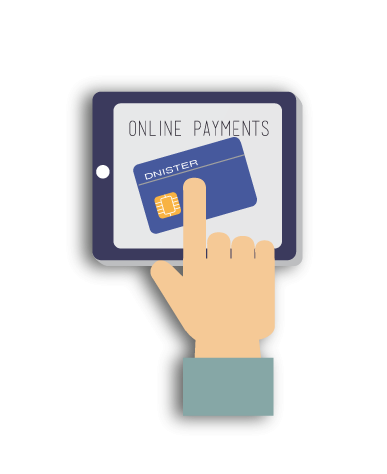 eftpos payments are in real time, so you can check your account within minutes and be sure that the transaction is accurately reflected. eftpos also enables you to get ‘cash out’ at the checkout, making it easier to get cash while shopping and avoid ATM charges. Take advantage of the facilities and benefits – apply today! Your new Dnister Visa Debit card behaves like a credit card but you access the balance of your funds in your personal account. What does this mean? Simply that, your card is connected to your transaction or savings account, which means you’re always in control of your money! This also protects you from overspending and unexpected debt. Make fee-free purchases by simply pressing the ‘CR’ button at an EFTPOS terminal. You can use your card anywhere Visa cards are accepted. As a Member owned Credit Co-operative, we put our members first. Our profits are invested back into our members and the Ukrainian community and its organisations– not paid out to shareholders or market investors. This allows us to offer you lower fees, lower lending rates, higher investment rates, better banking products and support for community projects. Join a financial provider that gives back! Pay with your own money. Your Visa Debit card is connected to your transaction or savings account, which means you’re always in control of your money. Shop online. Your Visa Debit card acts like a credit card, but you use your own funds. Tap and go with a Visa® payWave. Make purchases under $100 by simply tapping your card against a payWave terminal. Smart chip protection. Increase your security and reduce your exposure to counterfeiting, card skimming and other fraud with a smart chip. Verified by Visa checks that it’s you making the purchase. Fee-free purchases. Simply press the ‘CR’ button at the EFTPOS terminal. Visa Zero Liability Policy. With Visa’s Zero Liability policy, you won’t be held responsible for fraudulent charges or unauthorised purchases made with your card or account information. This means you can use your card to shop with total confidence, as you will always be protected against unauthorised use. Secure, contactless technology that will help you spend less time at the register. Visa payWave lets you breeze through a check out faster since there’s no need to fumble for cash or enter your PIN. You can simply wave the card in front of a secure reader and you’re on your way! One of the advantages of Visa payWave contactless technology is its ability to enable payment through new and compelling form factors beyond traditional payment cards, such as mobile phones and other consumer devices. For transactions under $100, just wave your Visa payWave-enabled card in front of a contactless reader and go – there’s no need for a signature or pin. Visa payWave is accepted at Australia’s leading retailers, including Coles, Woolworths, McDonald’s, 7-11, JB Hi-Fi, Bunnings and Caltex. Shopping for everyday items has never been easier. Visa payWave allows for faster transactions and increased convenience while still maintaining Visa’s high-security standards. A chip is embedded in the card, sending information to the secure reader at the point of sale. In addition, cardholders remain in control of their cards during the entire transaction, further reducing the risk of fraud. Visa payWave-enabled cards are backed by Visa’s Zero Liability Policy and are as secure as any other Visa chip card. They carry the same multiple layers of security, which ensures that you are not responsible for fraudulent or unauthorised transactions. Visa’s Zero Liability policy covers Australian and New Zealand-issued cards and does not apply to ATM transactions, transactions not processed by Visa or certain commercial card transactions. Cardholders should notify their issuer promptly of any unauthorised Visa use. Please consult your issuer for additional details. Verified by Visa adds an extra layer of security – at no additional cost – when you shop online with participating retailers. When you shop online with a participating retailer you may be asked to provide extra information. We use this to check that you are you. This information will not be given to the retailer. This added security provides assurance to you, the retailer and to us that your card is not being fraudulently used. Once you’ve provided the requested information, we’ll check the information, after which your purchase will proceed. Without this information, the store may not accept your payment. Additional cardholders can also use Verified by Visa (with their own card and personal information). 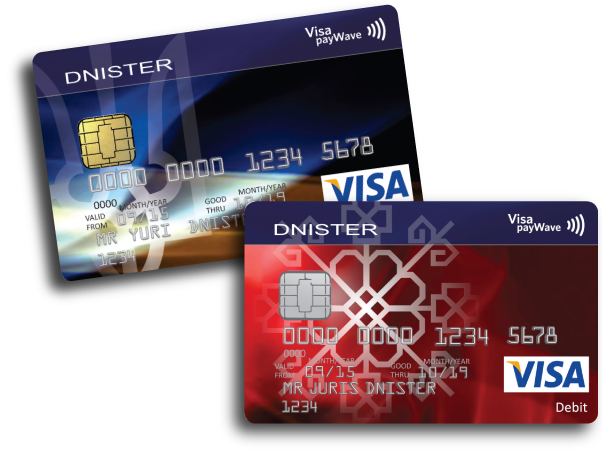 Activate your Card: Contact us at Dnister to activate your new Visa Debit card. After entering your details and clicking the ‘Enrol now’ button, you’ll be asked to create a Personal Message and password. Once you’ve enrolled, you’ll be prompted to enter your password whenever you shop online at a participating Verified by Visa merchant. Verified by Visa assesses online transactions to reduce the risk of fraudulent transactions. You may also be required to enter a Security Code as an additional level of protection. Quick and easy to use. You don't need a new card or any special software. When making a purchase online, your card will be recognised by merchants offering the Verified by Visa service. More and more online merchants are offering the Verified by Visa service. As Verified by Visa grows, dozens more of your favourites will be added. Just look out for the Verified by Visa logo to see which online merchants are offering the service. It’s quick and easy to get a Dnister Visa Debit card! Your new Dnister Visa Debit card can be used in conjunction with your existing cards. This does not replace any existing card arrangements. Before applying for your Visa Debit card, you will firstly need to become a member of Dnister. You can do this by printing out and filling in one of the Applications below and bringing it in to your nearest Dnister branch. Fill out a Visa Debit Card Application Form and send or bring it in to your closest branch. How do I use my card at an ATM? ATMs are a simple way to access your money, check your balances and make withdrawals. All you need to do is follow the instructions on the screen of the ATM you’re using. Insert or swipe your Visa Debit card. Enter your PIN on the keypad. Follow the instructions displayed on the terminal screen. Check our Fees and Charges booklet for all ATM fees and charges. If you have a Visa Debit card, you can use any ATM within Australia or overseas that displays the Visa logo. Though you can use any ATM to access your funds, the cheapest options are Westpac, Bank of Melbourne, St George or Bank SA ATM’s as these transactions are included in your monthly fee allowance. You can use an ATM locator on your smartphone or visit our website. Visa payWave is a quick, and convenient contactless method of payment. Featuring a distinctive contactless symbol, your Visa payWave card has a tiny antenna embedded into the chip which securely transmits purchase information. How do I use Visa payWave? Check the purchase amount displayed on the Visa payWave terminal. Hold your Visa Debit payWave card approximately four centimetres in front of the terminal. Wait until all four lights on the terminal are illuminated to ensure that the transaction is complete. What accounts can I access with my Visa Debit card? Your Visa Debit card can be linked to any of our Access Accounts such as the Everyday Access or Pensioner Savings. Visa Debit offers the convenience to access the worldwide Visa network, allowing you to shop online, overseas or over the phone with your own money. You can also use your card to withdraw cash and pay bills. Who is eligible to apply for a Visa Debit card? Members aged 13 years or over that have an Australian mailing address are eligible to apply for a Visa Debit card. Where can I use my Visa Debit card? Visa Debit is accepted at millions of outlets around the world, wherever Visa is accepted. This includes at the point of purchase (EFTPOS), ATMs, online, over the phone or overseas. How do I make purchases and withdraw money with Visa Debit? 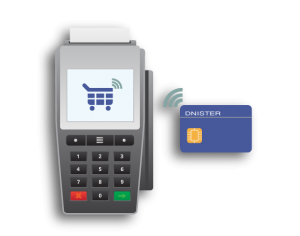 There are many ways you can access your money using your Dnister Visa Debit card, including at ATMs, at the point of purchase, over the phone, online and via mail order. 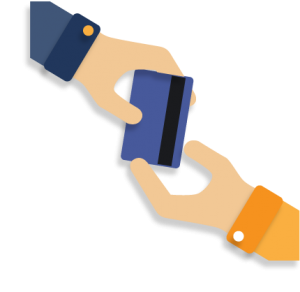 A simple rule to remember is to select ‘Credit’ or ‘Visa Debit’ for all transactions, unless withdrawing cash with purchases where you select ‘Savings’ or ‘eftpos SAV’. What security features are offered with Visa Debit? Transactions made in Australia and overseas on your Visa Debit card could be worry-free with the protection of the Orion Security software. ORION monitors usual card spending which means that any unusual spending patterns can be detected and any attempts by others to use your card can be prevented. Should there be a transaction assessed as suspicious that is attempted on your Visa Debit card, you will be contacted by the Orion Fraud Team by phone and/or email, to confirm or deny the suspected fraudulent transaction before putting a stop on your card. Dnister will also be contacted in this regard. Do I have access to any additional Visa services? Visa Debit gives you all the benefits of the Visa network. To find out more about the latest offers visit www.visaentertainment.com.au. What are the transaction and daily limits? Your combined ATM and EFTPOS withdrawal limit is AUD $1,000.00 per card. This daily limit does not apply when you make a purchase using the ‘Credit’ or ‘Visa Debit’ selection or Visa (e.g. online or over the phone). All withdrawals and purchases are limited to the available funds in your account.